For the past 14 years Computer Troubleshooters have been providing IT support to home users as well as business users in all states, capital cities and many regional locations in Australia. CTS Team is dedicated to help business owners get more productivity out of their IT infrastructure. Under our B.E.S.T Managed Services we guarantee your systems up and running 24/7. We are a worldwide network of independent computer professionals who are able to respond effectively to the needs of business and home computer users. Through experience, skills, training, mutual support and reliability of one another we have become the service choice of those seeking computer and business technology help. A franchise network of close to 500 locations in 27 countries including approximately 100 locations across Australia. Celebrating 14 years of excellence in IT service to small business and home users. A reputation for professional and friendly computer service to small business and home users. 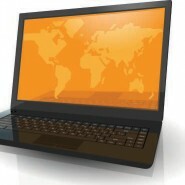 Many individuals purchase personal computers (PC) with very little PC or technology knowledge. Computer Troubleshooters can help you from the start by assessing your computer needs based on the use you expect to make of it. We can then purchase the required PC and set it up according to your needs, connect your PC with wireless internet and other wireless devices such as a printer, mobile phone or even your TV if it is compatible. We can also give you some basic training and advice on whatever computer or technology trouble you are having. We can help you select software based on what you are trying to accomplish, then we can install it for you and get you up and running. CTS Team also offers other home services such as computer repair, tune-up, virus cleanup, data recovery and data backup. At CTS Team we pride ourselves on the quality of our staff and most importantly their attitude towards the industry’s leading managed support plan for small businesses. All customers benefit from our low cost, low overhead franchise design, which lets our franchisees provide a more cost effective than most of our competition. By assessing your computer and / or technology requirements first, CTS Team will provide you with a adequate quote tailored to your needs while we save you $$$! We recognise that trusting a new technology support partner is a challenge, so we want to make things easy on you by offering these special deals!